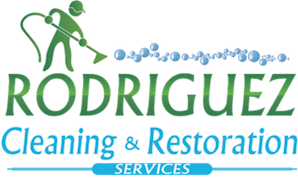 Don’t worry Rodriguez Cleaning Services is here to assist you with all your flooded basement cleanup and water damage issues. Rodriguez water damage specialists have the training, skill and equipment to assist you 24/7 with your water emergency. As you Probably know or going through Most of the Time when a flooding situation happens one of the first places to get all the hit is your ( Flooded Basement Louisville) why is that ? Water will run to the lowest spot as always. Why your basement got flooded. There are many reasons for this to happen. You have crack on your concrete foundation in your basement and water is zipping through than you find that your carpets and wall are wet. Your sump pump fail and it couldn’t pump the water out of your basement. Doors and windows were open. Accumulation of water around the house and it came through the walls. Water line busted and you have water everywhere. Check that your basement sump pump is working properly. Check doors and windows are closed. Water around the house runs away from the house. Winterize water line during winter. Fix crack on your basement foundation and wall. At Rodriguez Cleaning Services we believe that clients always come first. If we are 100% committed to your satisfaction quality, speed and customer services matters a lot. At Rodriguez Restoration you will find IICRC certified technicians that went to classes and hands on training, Plus several hours of field hand on training. When you are an in emergency situation you can call Rodriguez 24/7 why because we know the sooner we get to work with you the faster your place will be back to normal. The longer you take to make your decision the greater the chance for you of having mold or start affecting areas or material that wasn’t affected. When you show up at you Louisville House we will walk through with you to inspect and assess your situation. We will explain everything to you at front this way you know what to expect and what are all the steps to follow. Our Water damage service Louisville is design to take care of you and your home.